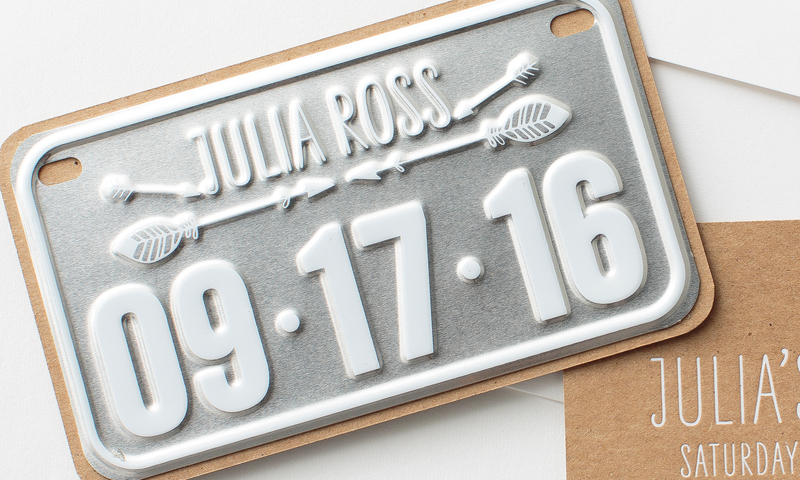 This whimsical license plate save-the-date is mounted to a chipboard card with ceremony details printed on the reverse side. It mails in a heavy weight envelope to protect it in the mail. 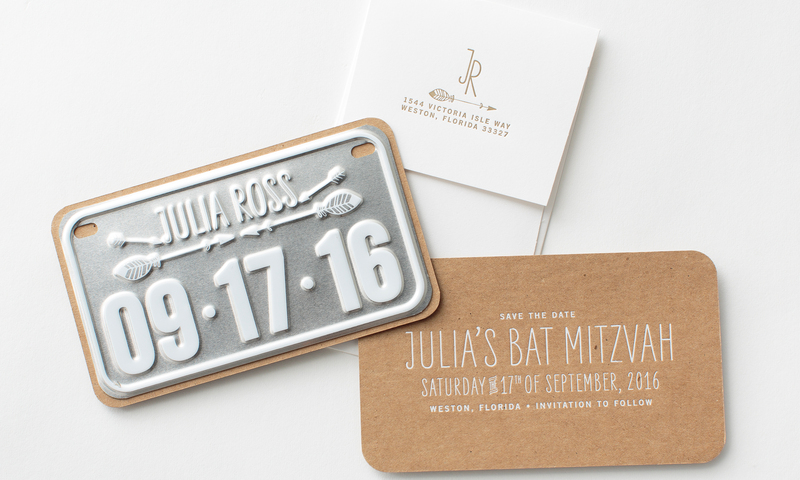 This invitation can also be used for other types of parties and events.